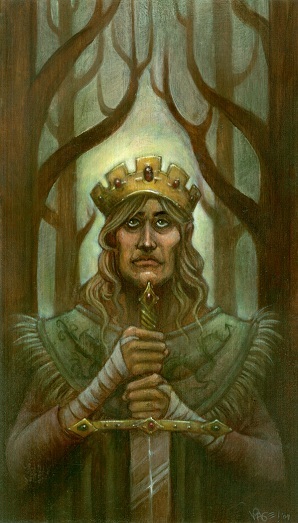 King Gedro came to power a few days after his 31st birthday when his uncle, King Spatenrock the Sixth died on a hunting trip. He was a popular choice, and power was handed over with little of the politics that are typically associated with an indirect heir. He was killed by Walrue, who took his place until he was killed by Gavin. Gavin feels it his greatest role, to portray the King of Timiro. Please see the log New Day Dawns.